When most people think of fairies, they think of Tinker Bell from Peter Pan. The idea of little supernatural creatures living in the forest has been co-opted by Lucky Charms and Santa Claus. They’re kind or helpful or merely mischievous. They’re cute. Remember the brownies from Willow? They were funny, and goofy. Fairies, elves, sprites, etc… they’re not terrifying anymore. In fact, there’s “fairy godmothers” who grant us the greatest wishes of our hearts’ desires. They’re fun and if they are real, they even play with children! Remember The Cottingley Fairies? Even Sir Arthur Conan Doyle believed in them, and he invented Sherlock Holmes so he must be smart! That’s a rephrasing of a famous quote by the French poet, Charles Baudelaire, but the idea here is the same. Fairies must have an incredible publicist, because been in the public imagination, fairies are as real as the pot of gold at the end of the rainbow. It’s only a modern idea that fairies are harmless and fun little magical beasties that live in the forest and are just like “tiny little people with wings” that care about the environment. But that’s pretty far from the original myths and legends of faerielore. 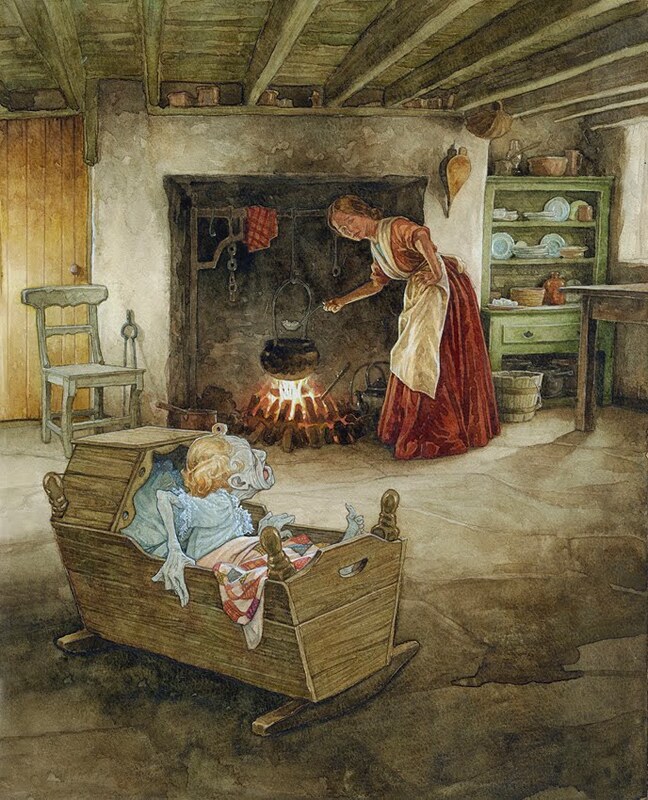 In fact, one of the most enduring myths about the fae is the terrifying story of the “changeling” where faeries steal a human baby and leave a faerie child, an old fairy, or a deceased child in the baby’s place. 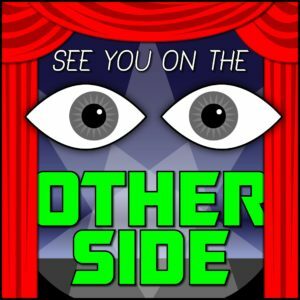 You would know it was a changeling because the baby was constantly crying, or would not stop suckling at mother’s breast, or would eat voraciously and never be satisfied… in any case, the parents would just “know” that it was not the same child as went to bed the night before. And there could be multiple reasons why faeries would steal a human baby, it could be that human mother’s milk makes faerie babies stronger, or to replace a troublesome faerie child, or sometimes even because faeries enjoyed human flesh. You might be able to get the changeling out and your baby back by something as innocuous as attempting to cook the family dinner inside a single eggshell (something that would shock the changeling into laughter and running away) or as insidious as holding the child over an open stove or an iron spade. And when it comes to the human experience, that’s about as horrific as it gets. Our biological imperative is to reproduce and keeping that child alive is one of our most basic instincts. But before modern medicine, the infant mortality rate was exponentially higher. Droughts, starvation, and famine were much more common. If a child was sickly or a burden on the scarce resources of a peasant home, the drain on the family could be significant, it could be deadly. In a superstitious world, the changeling real because how else do you explain it? What else can a birth defect or mental illness be but a supernatural curse when there is no scientific explanation yet? The changeling is a very human way of interacting with a very real trauma. It’s a dark road to go down, but when we talk about 4,500 cases of infanticide in Ireland between 1850 and 1900, it’s not just some strange ancient faceless past, it’s a real history with relatives that many of us can trace directly back to. Fortean author Joshua Cutchin wrote the ground-breaking A Trojan Feast: The Food and Drink Offerings of Aliens, Faeries, and Sasquatch in 2015 to examine millennia of strange, cross-cultural paranormal food taboos. Following it up with The Brimstone Deceit: An In-Depth Examination of Supernatural Scents, Otherworldly Odors, and Monstrous Miasmas Joshua explored olfactory experiences reported during paranormal encounters. 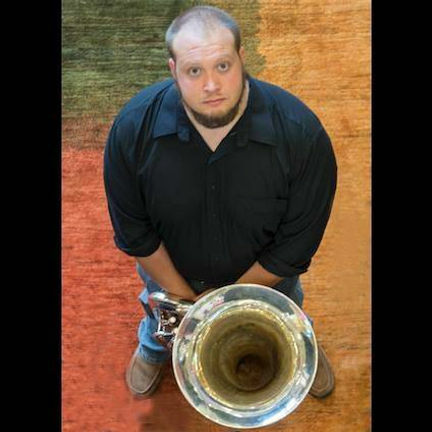 Josh is not only a painstaking researcher and gifted writer, but a fellow Badger (Wisconsin alumni, like Wendy and I) and a talented musician. 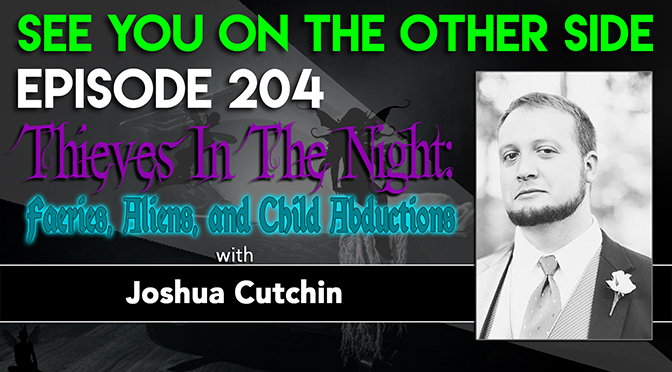 In this episode, Joshua Cutchin joins us to talk about perhaps his most frightening work to-date, his new book, Thieves in the Night: A Brief History of Supernatural Child Abductions, which examines the disturbing history of paranormal kidnapping. Aliens abduction tales and fairies – what’s the connection? 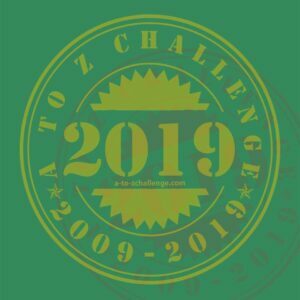 Inspired by the idea of waking up to find someone that you care about isn’t someone you seem to recognize anymore, we revved up a Sunspot rocker for you, This is “The Changeling”! but you ain’t the same person that you used to be. and get the out of town until you find a cure.